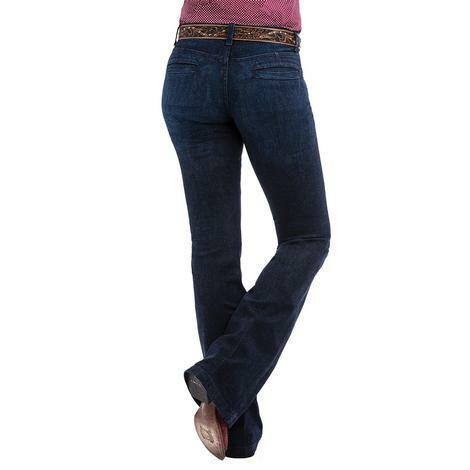 Cowgirl Tuff's Free Spirit Feather Arrow jeans have a medium wash with light fading, and heavy whiskering. 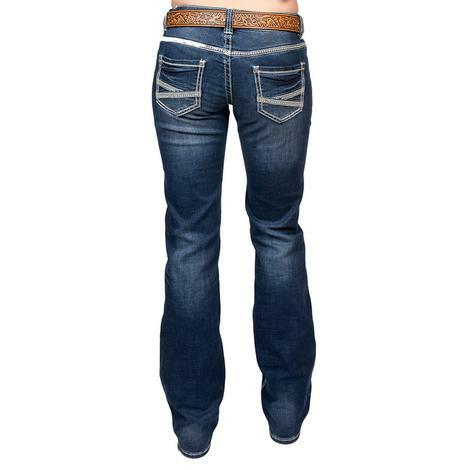 The jeans have an all-over cream stitching and feature red, white, and blue Aztec embroidery on the left thigh and right front pocket. 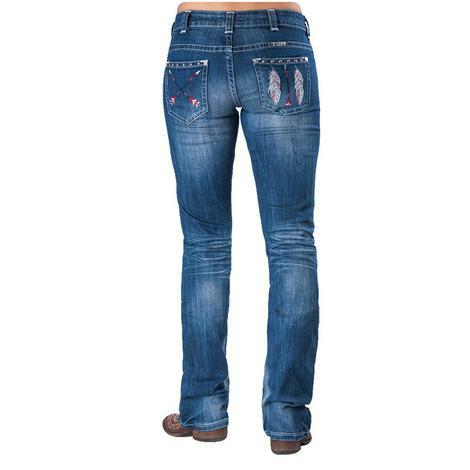 The left and right back pockets have embroidered arrows and feathers and studs across the tops. 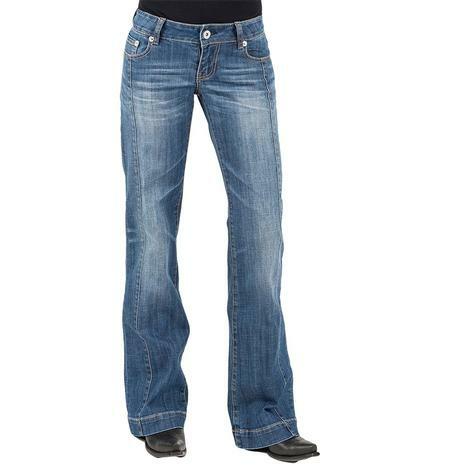 These jeans tend to fit bigger in the waist than most styles by Cowgirl Tuff. 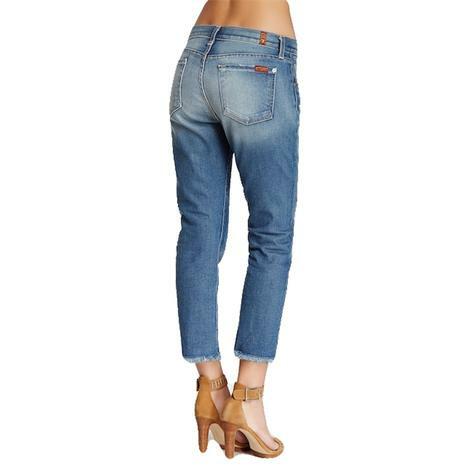 Dear John Denim presents The Sloane Bootcut Jean, a bootcut jean that features a nice, dark wash that has no heavy fading or distressing. 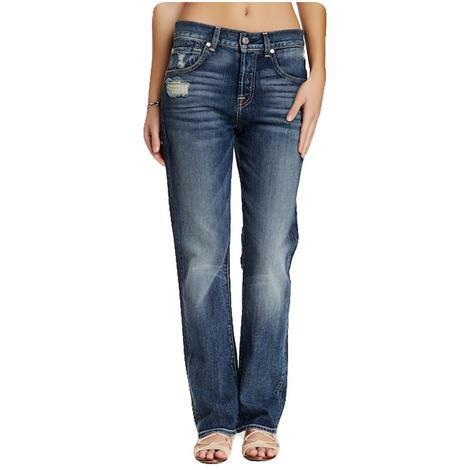 They are a classic 5-pocket style jean with a button closure. 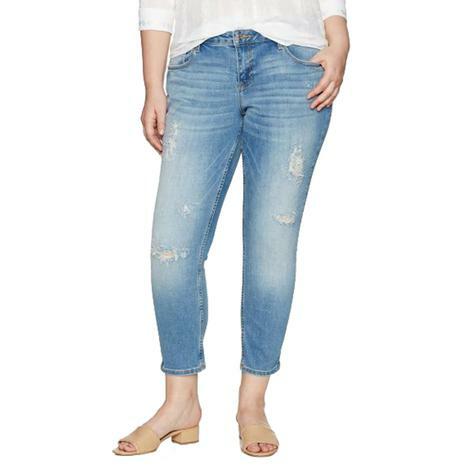 The Harmony wash makes them an excellent office jean or a favorite pair for a night out. 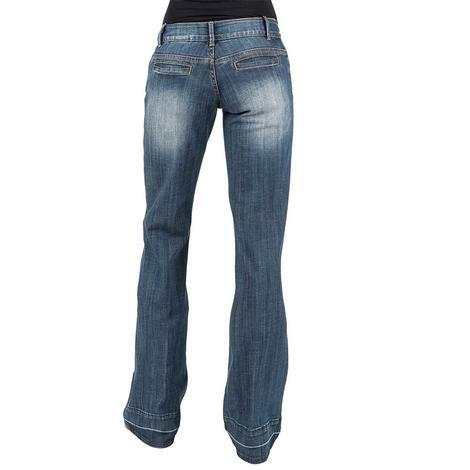 They look great with heels or your favorite boots. 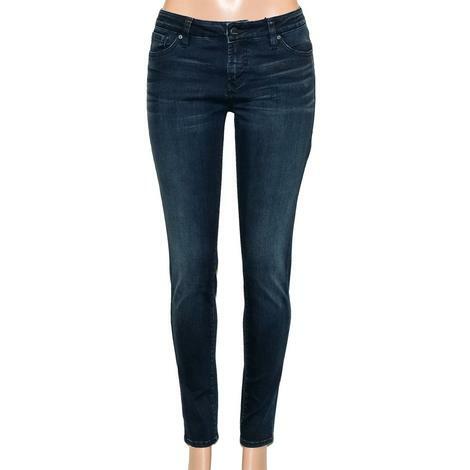 These jeans have just the right amount of stretch for a perfect fit every time you put them on. Add these to your collection today! 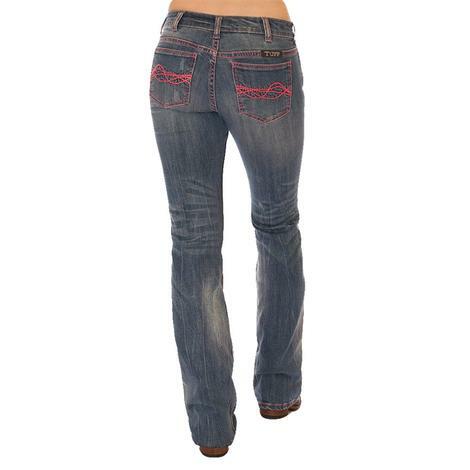 Dark vintage wash riding jean with crossing seams and embroidery on back pockets. 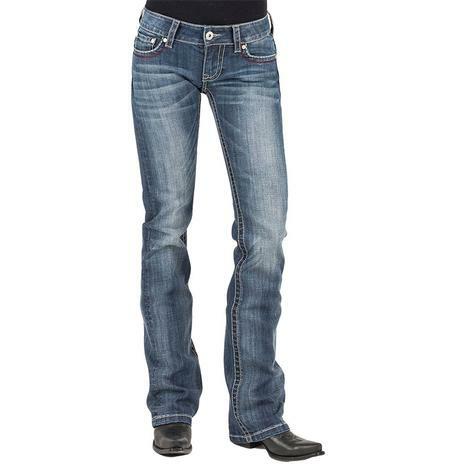 These five pockets Classic Western Jeans from Stetson sit low on the waist and have a slim fit through the thigh with a slightly flared leg. 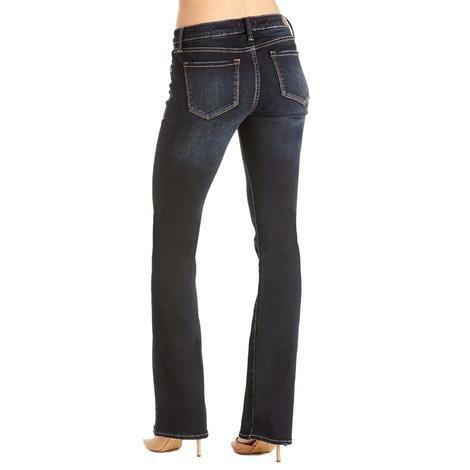 The jean is boot cut so they'll fit over your favorite pair of boots without a problem. 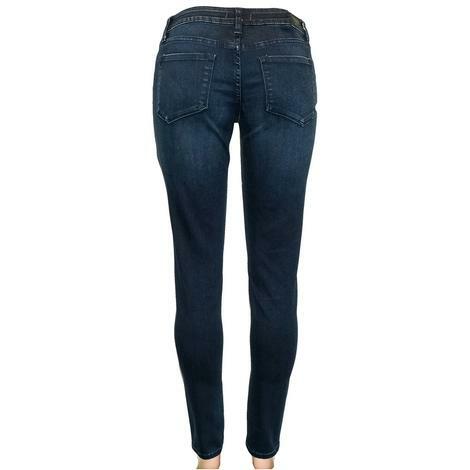 This trouser jeans by Stetson features 98% cotton and 2% spandex materials, sits just below the waist, and moderately fit thigh. 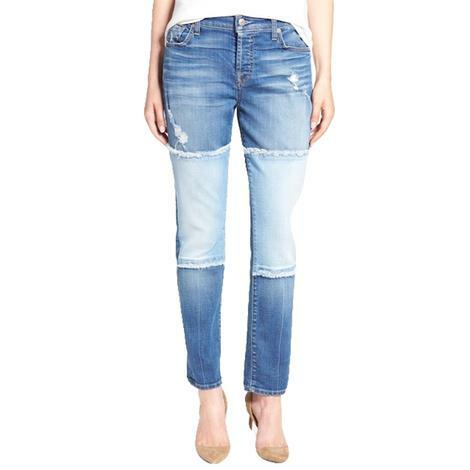 These jeans are great for any occasion. Just throw them on and go! 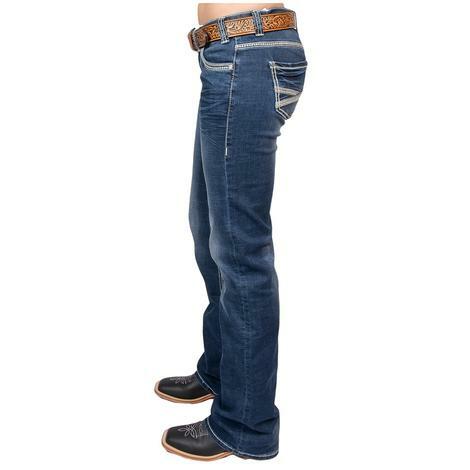 These jeans by Stetson sits slightly below the waist and features hand sanding throughout. Flared leg. 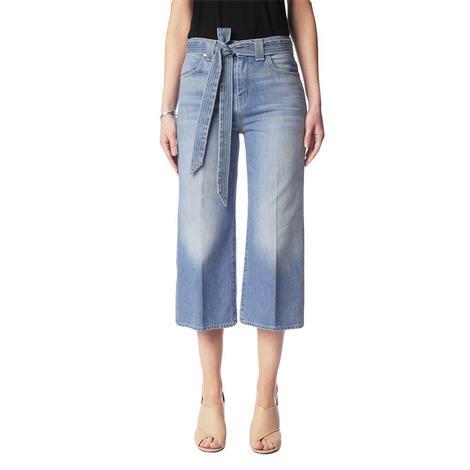 Sits just below the waist Moderately fit thigh w/flared leg 2 button contour. 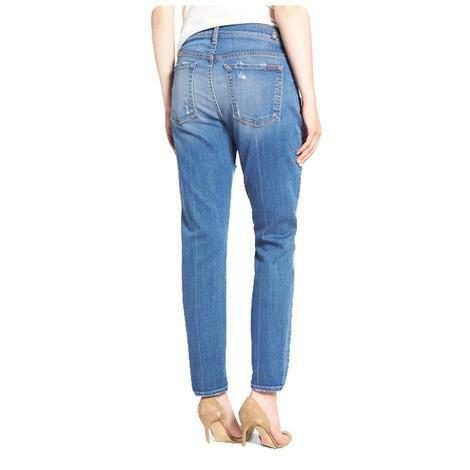 These jeans by Grace In LA have just the right amount of stretch for a comfortable and form fit. 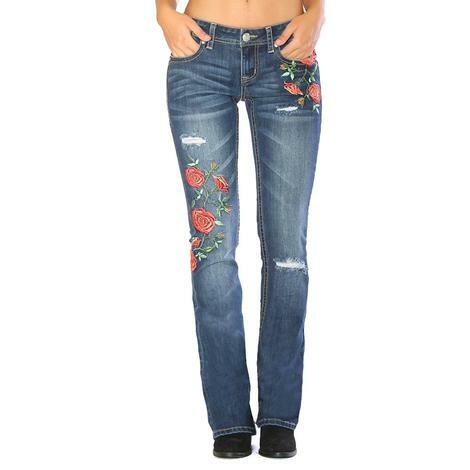 the jean comes in a dark wash and features intricate floral embroidery on the front hip, lower thigh, and back pocket. 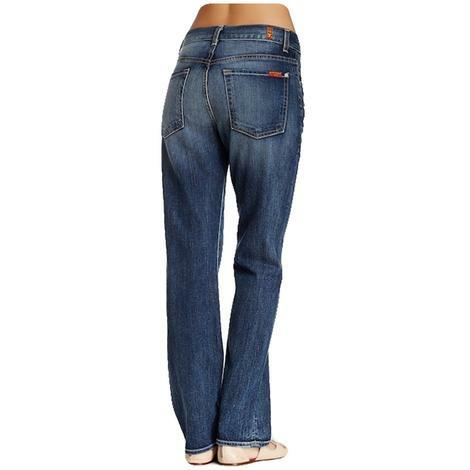 Boot cut. 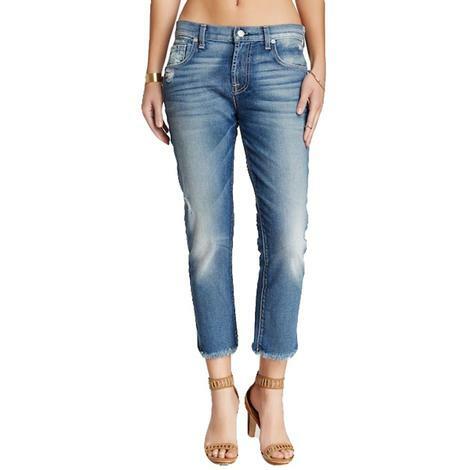 These jeans come complete with embroidered cuffs that's uniquely styled and embroidered. 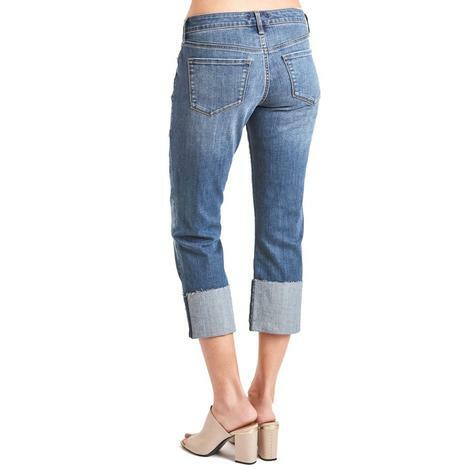 98% cotton and 2% spandex for just the right amount of stretch and patchwork makes this jean a standout. Get yours today while supplies last! 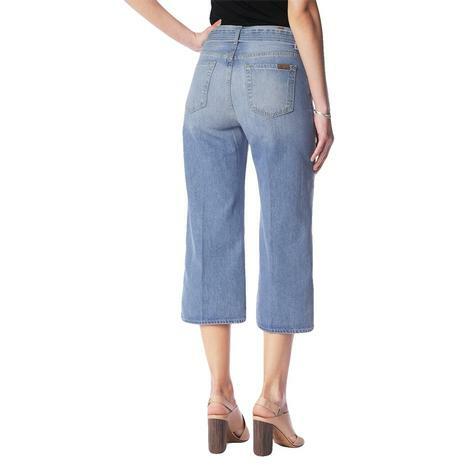 These stretchy and comfortable jeans come complete with striking whiskers, hand sanding, distress and destroy elements, along with grinding at the pockets and waistband for a truly vintage look that will go with anything in your wardrobe. 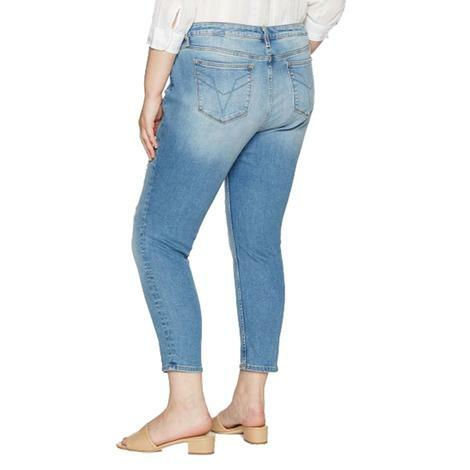 This light-tone skinny-fit jean with whiskering and stitch-outlined back pockets is made using 98% cotton and 2% spandex for a perfect fit. 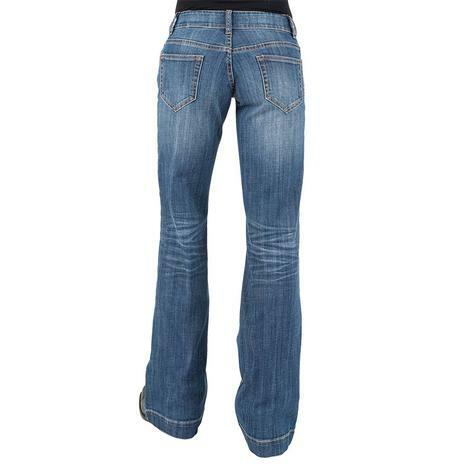 These grey girlfriend jeans from 7 For All Mankind are crafted with slim fit silhouette and features a skinny leg, five pocket construction, faded front & back, and distressed details at the pockets and hem.